Nosgoth is a bit divisive around these parts. 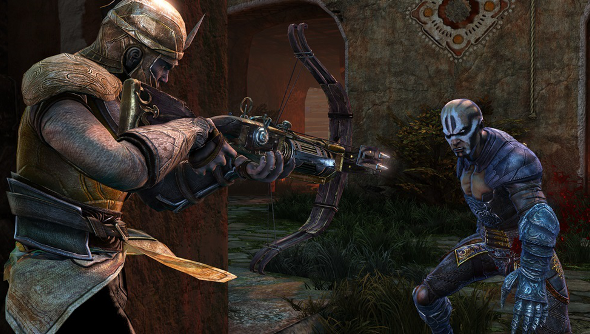 In my Nosgoth hands-on, I was surprised by how much fun I was having, and I continue to play it. Steve, on the other hand, is not a fan at all. In his Nosgoth preview, he called it a “disembodied multiplayer game”. You can decide which of us is right by getting early access to the closed beta with a purchase of one of the founders packs, which are currently 25 percent off. What’s the sale for? It’s bidding farewell to these founders, as they’re being revamped come July 22nd. The Human and Vampire packs will be removed, while the Veteran, Warlord, Warband and Immortal packs are changing. This won’t affect anyone who has already purchased them. Most notably, the altered packs are cheaper. The Immortal pack – the most expensive – was £89.99/$149.99 but on July 22nd will be knocked down £29.99/$49.99. What you get with each pack pretty much stays the same, but instead of getting runestones, the premium currency, you’ll get gold instead. While most items can be bought with gold or runestones, the vampire and human skins can only be bought with runestones. All the original packs will continue to be sold until the 22nd, as well as the Human and Vampire packs.